Get an extra 10% discount when you spend £50 or more on any selection of these Arty Essentials! 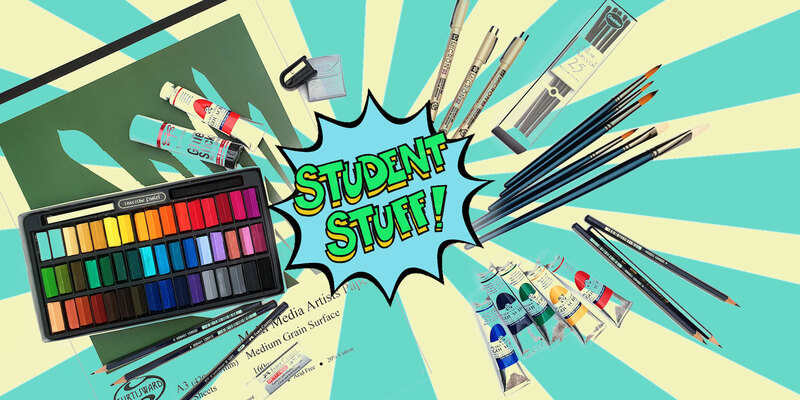 Starting a course or simply topping up on core Art Materials to continue your studies? Here are some fantastic, discounted basics that will kick start your creativity without crunching the credit card! And, on top of our already great prices, a basket total of £50 or more of any of these promotional items, will get you an additional 10% off AND free postage! Discount is automatically applied at the checkout. Look out for the 'Student Stuff' graphic for eligible items.